Covering Hertfordshire, Essex and surrounding areas. Established in Stansted, on the border of Hertfordshire and Essex by Ed Howley in 1990, Furniture By Design is one of the leading specialists in the UK when it comes to built-in and made-to-measure fitted furniture for the home. Our on-line showroom for bedroom furniture, studies, lounge furniture, TV & media units and bookcases – all fitted – showcases our versatility. 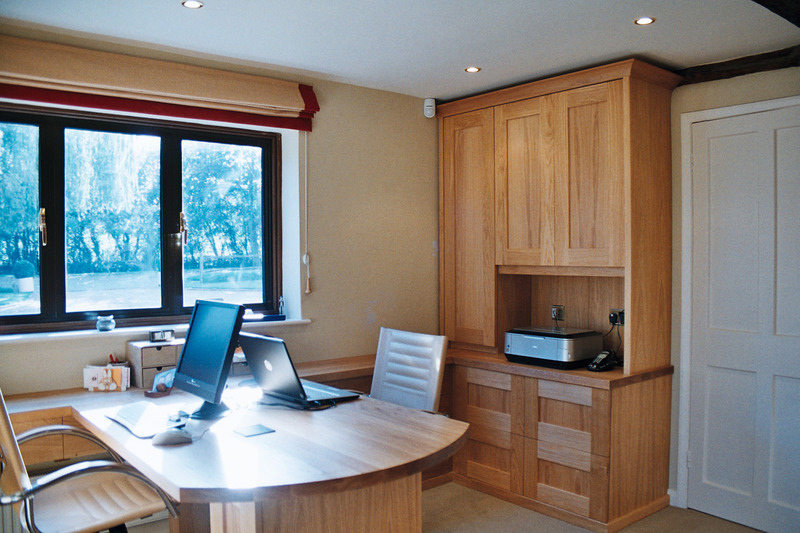 Unlike most fitted furniture companies, we are not limited to standard product ranges – we provide a bespoke service to your specification using wood, wood veneers, medium-density fibreboard (MDF); spray-painted finishes or modern, value-for-money foil-wrapped MDF in wood grain effects – in plain colours or high gloss finishes. What you see on our website are photographs of furniture produced by us and installed in our customers’ properties. Our products and installation are of exceptionally high quality, guaranteed for 5 years – you should expect nothing less from one of the leading fitted furniture designers and manufacturers in the UK. 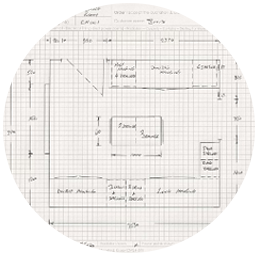 Based in Hertfordshire and Essex in the UK one of our designers will visit you at home to assess your design and storage requirements, at which point we will also advise on materials and cost. 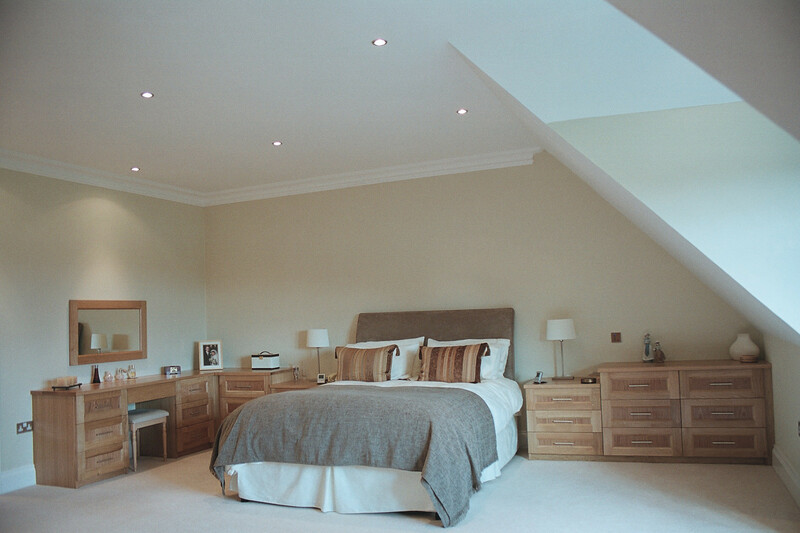 Fitted Bedroom Furniture Fitted bedroom furniture and fitted wardrobe specialists for Hertfordshire & Essex in the UK. All our fitted wardrobes are built floor-to-ceiling using an MDF lap-jointed front frame without the use of unsightly filler panels. Our fitted wardrobe construction method maximises storage space and is fitted to the exact shape of your room by one of our professional craftsmen. Click here to view an example of our wardrobe construction i i i Our fitted wardrobe interiors are designed to your individual requirements for hanging space, shelving and drawers. You can also choose from our wide selection of accessories. Other fitted bedroom furniture: matching bedside units, drawers, cupboards, dressing tables, etc. are also available fitted or freestanding. LIVING & MEDIA ROOMS Fitted lounge, TV & media furniture and fitted bookcase units for Hertfordshire & Essex in the UK One of the leading fitted lounge, fitted TV & media furniture and fitted bookcase unit manufacturers - based in Hertfordshire & Essex in the UK. Fitted and built-in TV & media lounge cabinets and fitted bookcases for Hertfordshire & Essex in the UK. Our fitted lounge and TV & media furniture is designed to fulfil important aesthetic requirements where style and detail reflect personal taste. Audio equipment can be integrated into the design and can be made hidden, visual, remotely controlled, accessible with or without ventilation. Storage for DVDs & CDs, etc., together with drawer, cupboard and bookcase shelving can all be deigned to specification. Radiators, TV cabinets, wall-to-wall shelving Building around radiators, TVs, chimney breasts, etc., will not only create additional storage but add an attractive feature to any room. STUDIES & HOME OFFICE Fitted study furniture and fitted bookcase units for Hertfordshire & Essex in the UK One of the leading fitted study furniture and fitted bookcase unit makers - based in Hertfordshire & Essex in the UK Fitted studies and fitted bookcase units for Hertfordshire & Essex in the UK Our built-in studies are designed to give access to hidden cables for PCs, etc., keeping the appearance tidy and uncluttered. Units can be designed to accommodate study and home office accessories: printers, scanners, keyboards and processor can be hidden away, on pull-out extending shelves if required. 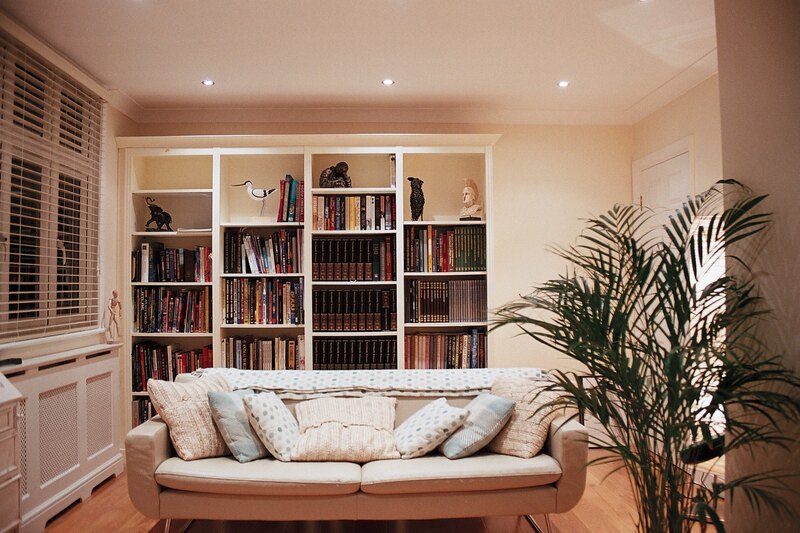 Fitted bookcase units and fitted shelving Many parts of the home can lend themselves to a tidy bookcase unit doubling up as a discreet home office or study. The appearance can vary from a dresser-type unit to simple floor-to-ceiling shelving. Our cabinet makers are master craftsman and use all types of wood to create simply the best bespoke furniture especially for you. At Furniture By Design we set high standards – we pride ourselves in our design ability, product flexibility and attention to detail. 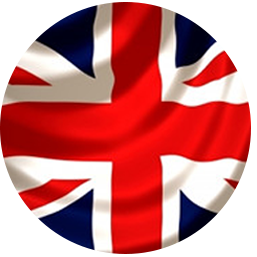 All our furniture is made in Stansted at our purpose built workshop, proud to be designed and built in the UK. 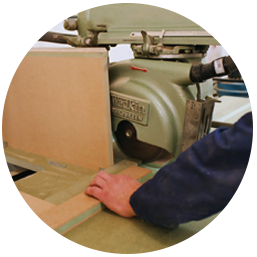 This type of product is produced using MDF as the core material, which is then covered with a plastic veneer/foil using an advanced manufacturing process developed and perfected over recent years. It produces a cost–effective, hard–wearing, durable product. It has great flexibility in design – from modern to contemporary and traditional designs – all available in woodgrain effects, plain colours and high gloss finishes. Once viewed, many customers choose this material in preference to real wood or painted finishes because of its attractive design options: excellent quality, durability, ease of maintenance and value for money.. The majority of furniture produced for a painted or sprayed finish is made of MDF, depending on the style design and construction, some parts may be solid timber. As with real wood, the design potential is completely open and can produce excellent results for both traditional and modern styles. A sprayed finish can be to any colour, whereas a hand-painted finish will be spray–primed, ready for hand-painting on site once fitted. The benefit of solid wood and real wood-veneered product not only produces a long-lasting, well-made piece of fitted furniture, it also offers full design potential with no holds barred, where the design can be truly formulated to meet your requirements. The finishes are also many and varied; from a plain oil natural finish, to staining and spraying, using furniture-finishing processes and lacquers.